May 2017 - Spring Burger! 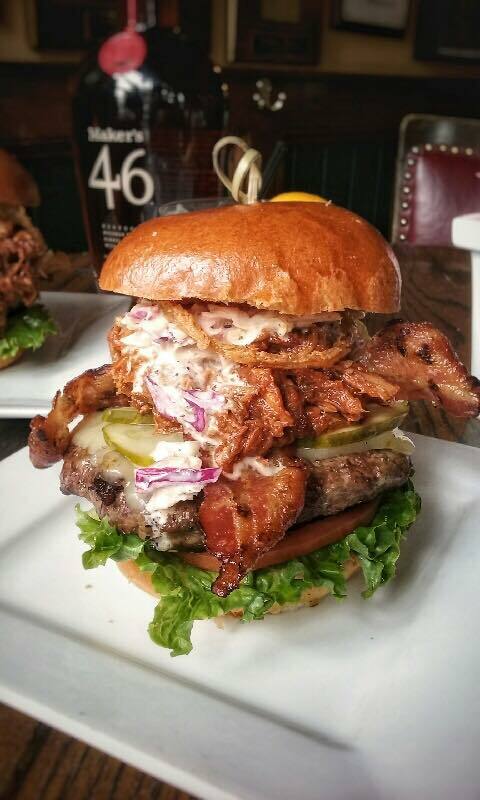 Slow braised BBQ pork, hickory smoked bacon burger topped with sliced pickles, lettuce, tomato , cabbage slaw, onion straws and melted jalapeño jack cheese. Held together on a brioche bun with a bamboo stick!